As it was a 1st time fishing the lake and I have no idea what it contained I thought that fly fishing would keep me mobile and would give me something to do whilst surveilling the water. I have been told that the lake contains carp however some good friends have told me that this is untrue. I believed them until one blustery evening a few months back I was walking around to the pub on the other side and what did I see jump 3 times ? yes a carp. Not all that big probably an upper double but they are in there ( well one at least). Brimming with confidence I set out with my wife with my fly gear along the back path, through the woods. The path runs along side the lake and so you can keep on it whilst looking for fishing swims on the bank. As I was fly fishing I needed a fair bit of rear bank space so that I wouldn’t snag my fly on branches etc. I had thought that there were several swims on the back bank however we walked, and we walked and we err walked. It turns out that the entire south side of the lake is completely tree lined. The water looks to be up a few feet and without waders it seems to be impossible to fish. I coupled this to a fluorocarbon leader tied with a waterknot to a section of 15lb mono and using a 9 weight intermediate fly line. My rod was my normal pike / carp fishing fly rod being a 9ft 9 weight Scierra Ferrox and a size 9 reel with plenty of backing. A little heavy for this type of fishing but you can punch out a big fly a long way and if a carp, tench or other big fish were to come out to play I would not be outclassed. Bank side vegetation meant that I couldn’t get the full cast occurring but I could get out 30 yards or so which was just enough to land me in a huge shoal of perch. 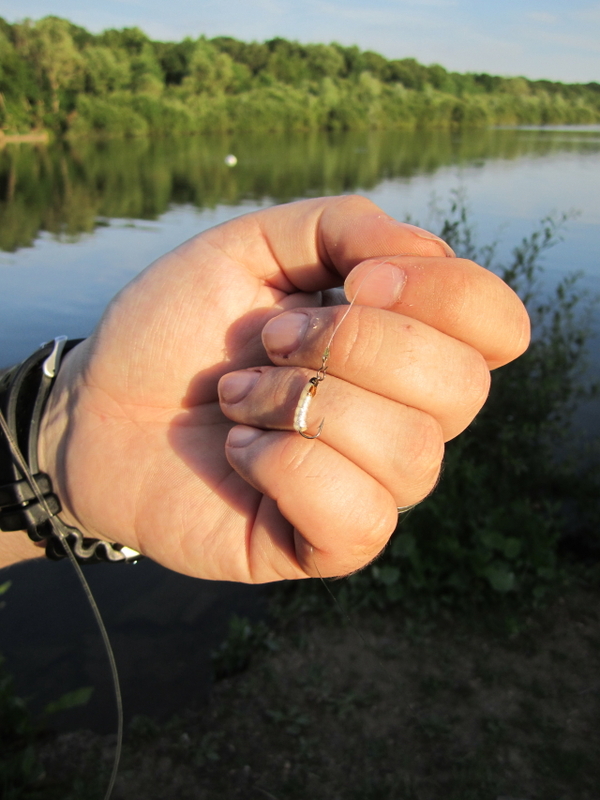 I was hoping that there may be some larger perch in the bottom of the shoal but it was not to be the 1st fish ( and if I am honest only fish – a cool beer was calling) was a small perch of about 3oz. Still it is a fish and therefore the session was not a blank 🙂 and for an alleged “quick walk around the lake with my wife” it wasn’t a bad result at all. As 1st sessions go it wasn’t too bad. I now realise that there are no possible fishing spots on the south or eastern banks and there are just 3 on the north eastern side. I will start to pop up and heavily ground bait this side with a sweet mix in the hopes of drawing over the tench as I can guarantee that all the fish reside on the unfishable side – it is always the way. 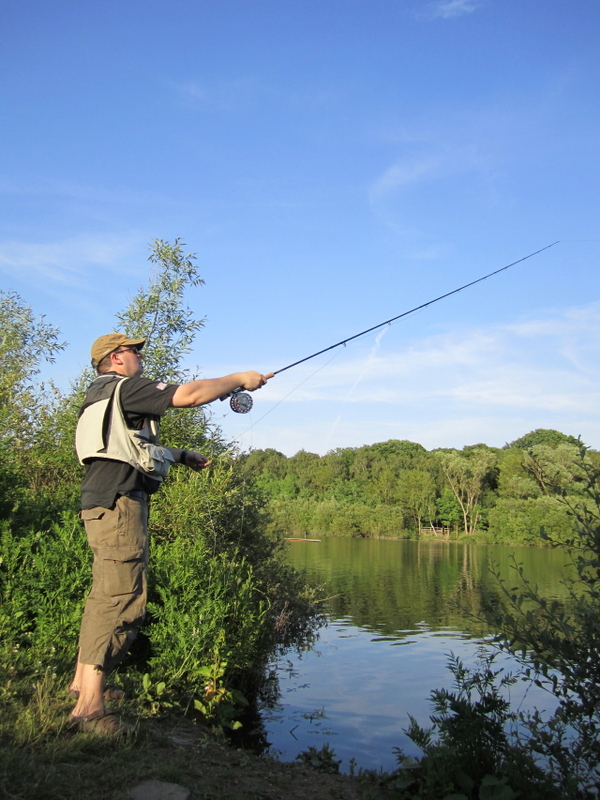 Do you fish Ruislip Lido ? 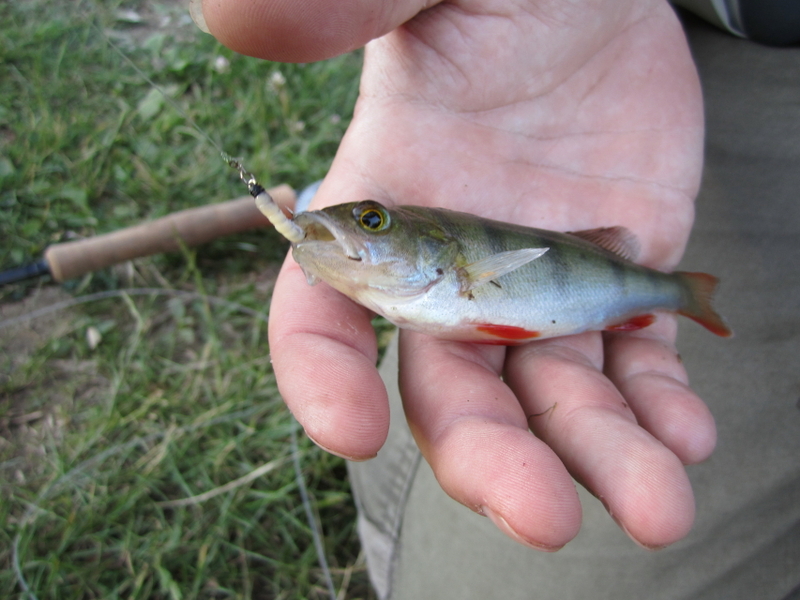 Have you fished it in the past ? do you have any tips ? Any inside knowledge ? mail me via the link above or post a comment. hello are you alowed to fish here? and would you need a E.A license to fish it?